We are a family-owned restaurant that specializes in hand tossed & Sicilian style pizza. We also serve delicious subs, wraps, salads, pasta dinners and more! 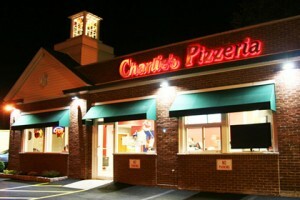 At Charlies, you can dine in, take out or have us deliver to you! We have plenty of seating in our bright new dining room, and be sure to try out our outdoor seating. We also deliver to all of Saugus, West Lynn and parts of Revere. Please stop by, give us a call or place an online order!